In Rotterdam, next to the Erasmus Medical Centre, an small carpark is renovated. 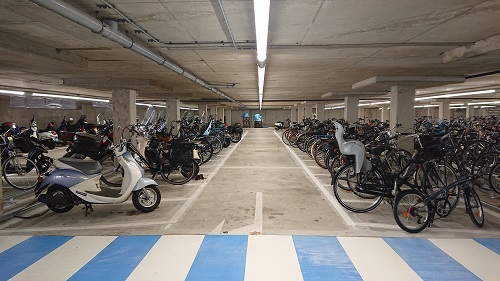 The carpark is transformed to a bicycle parking for the Medical Centre personnel and all installations are renewed. For lighting they chose the BB Lightpipe. The foremost reason was the wanted to create a comfortable and safe surrounding for the employers. Advanced lighting via lens and foil techniques creates a constant and even light distribution. This makes it is impossible to look directly into the LEDs from any position and thus eliminates glare effect. While doing so they wanted to save on energy consumption as well. 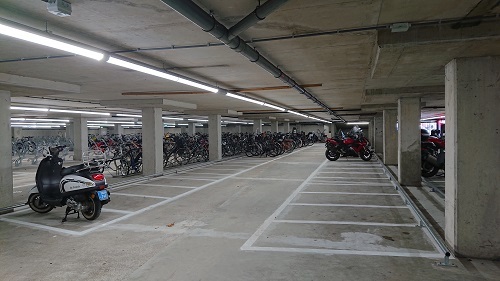 This why an advanced lighting system is commissioned based on multiple motion sensors. In the busy hours of the day, for instance when the working day start or ends, lighting is at the maximum level for maximum comfort. When no one is around the light is dimmed to 10% reducing energy consumption and CO2 emissions to a minimum.